"As you give a Lush gift to your loved ones this season, know that you will also be giving to a lot more. For every purchase of any of these Lush Christmas products and pre-packed gift sets from November 18 to December 25, Lush will be donating 5% of its sales to the relief efforts of typhoon Yolanda. 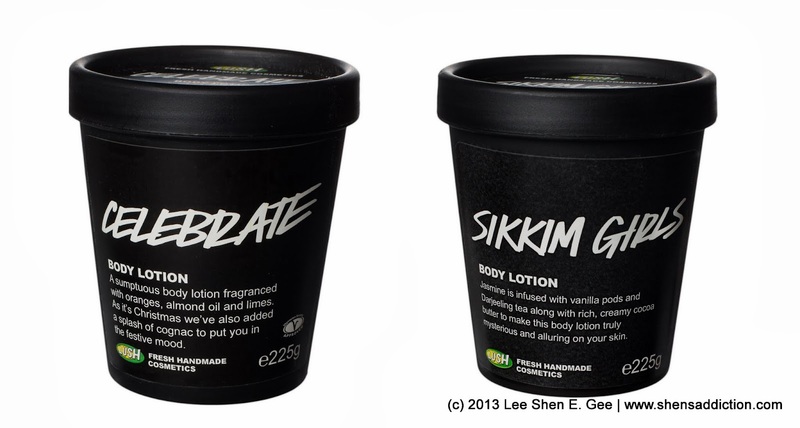 Make your Christmas gift-giving more meaningful with Lush." Now let me take you to a tour of what Lush has in store for you! This soap is orange, pure and simple. It has freshly squeezed orange juice, toning Brazilian orange oil and topped off with fresh orange slices preserved in seaweed-based jelly. A summery uplifting scent, just what you need in the middle of winter! A LUSH classic and bestseller, a slice of Snowcake smells just like the irresistible almond marzipan on the Christmas cake. Lather up with gorgeous rose absolute, that soothes dry, cracked winter skin, and berry scented cassie absolute. Your skin will be left softened and beautifully scented. Vegan. This soap certainly packs a punch with a concoction of fruity essential oils to help fend off the winter cold – there’s cleansing juniperberry oil, blackcurrant absolute, uplifting lime oil and softening coconut oil … there’s even a dash of gin in there to help tone the skin, well it does look a bit like a punch bowl after all, there’s whole bits of fruit in there and everything! Vegan. This annual favourite is back with the same jelly baby scent that you know and love! Angel’s will swoon for all the pink sparkly stars and moons that are embedded in this soap and it’s the tangerine and orange oils, along with blackcurrant that give it its yummy fragrance. These oils also really work to cleanse, refresh and detox the skin. Vegan. Named after its inventor this soap is made with Japanese-inspired ingredients like tofu, sake and rice. Delicate rose absolute and ylang ylang oil calm the stresses of the season while creamy tofu nourishes the skin. This soap’s floral notes and playful jelly float you into a colorful daydream far removed from the chilly winter weather. Drop this festive chap into your bathtub and marvel as he fizzes around turning the water from bright red to vivid green. He fills your tub with a zingy, fruity, uplifting fragrance of mandarin oil, bergamot oil and orange blossom absolute. Not only are these oils stimulating for the mind, but they’re also toning for the skin, helping to banish the winter blues and induce feelings of goodwill to all. Vegan. The caster sugar in this scrub will gently exfoliate away any dry skin from your lips, whilst the extra virgin coconut oil moisturises, leaving them soft and conditioned. This lip scrub has the fragrance of fizzy cola sweets for delicious tasting kisses, with a hint of festive red. Scrub lips before applying color for a flawless pout. Keep your skin looking and feeling amazing during winter with this limited edition sugar scrub. This year it’s even more beneficial for the skin, with added coconut oil and butters, such as murumuru and organic shea butter, to intensely moisturise. Sugar and sand add the gentle polishing effect. Fragranced with toning Brazilian orange oil as a nod to his exotic inspiration – the sand sculptures on Copacabana beach!c inspiration – the sand sculptures on Copacabana beach! Featuring Fair Trade vanilla absolute, the world’s first Fair Trade absolute, mixed with spicy black pepper oil and soothing patchouli. Allow this ballistic to slowly dissolve in your bath to reveal a wine coloured centre. The crown shape around the ballistic is the party hat that the tradition of the Lord of Misrule inspired centuries ago. Popping candy represents the party atmosphere that he would have created during his rule over a period of winter merriment. Crumble under a running tap and lie back amongst the masses of calming jasmine and ylang ylang scented bubbles and blue bath water. Perfect to help calm excited minds enough to get a good night sleep. There’s also some Irish moss powder (a type of seaweed) in there to soften the skin and make the water silky. Vegan. Uplifting Brazilian orange oil, clarifying bergamot and the creamy scent of honey will deeply relax you in the bath. Shoot for the Stars creates an out of this world, enchanting bath as the stars inside whizz and swirl about the bathwater, leaving you submerged in clouds of colour. Fragranced with Honey I Washed the Kids – our best selling soap. Snow Fairy fragranced sparkle in a bar! With a soft heart full of moisturising butters, oils and shimmering silver lustre to leave you smelling candy sweet and ready for your party dress. Smooth this bar over your arms and shoulders for soft shimmering skin that catches the light as you flutter. 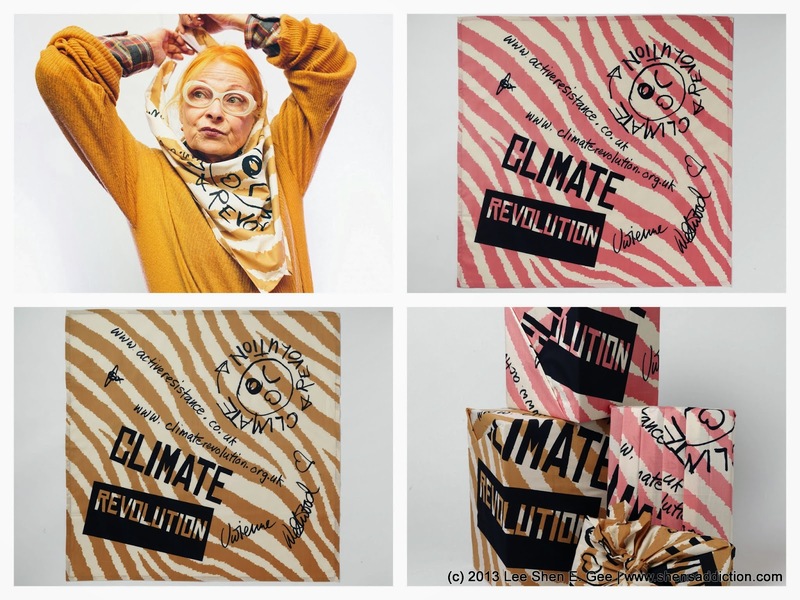 Join Vivienne Westwood in the Climate Revolution. LUSH Fresh Handmade Cosmetics Store is located at Glorietta 4, Shangri-La Plaza Mall, Greenbelt 3, Mall of Asia, and Bonifacio High Street, TriNoma, SM the Block, Alabang Town Center. You may also visit us online at www.lush.com.ph.